Pensacola is known as the City of Five Flags because of its history. The city has been claimed by or a part of five nations: Great Britain, France, Spain, the Confederacy, and the United States. 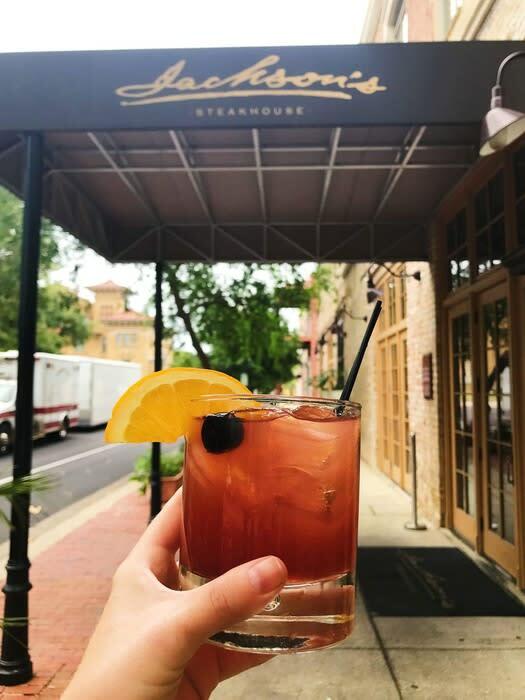 Today, those five civilizations have created a city rich in culture and heritage – with delicious food available at every turn to fuel your journey through Pensacola’s history. Pensacola has a lot of genuine links to important events and people in history. Perhaps our biggest claim to historic fame is Andrew Jackson. Before he became president, Jackson was a celebrated military officer. In 1814 he captured Pensacola as part of the War of 1812, and then he recaptured the town in 1818 as part of the Seminole Wars. In 1821, Jackson officially accepted Florida from Spain in Downtown Pensacola. Jackson’s Steakhouse celebrates the American icon by serving some of the most delectable fares in one of the swankiest establishments in town. Jackson himself would be impressed – if he could get a reservation. Today, the place where Jackson took possession of Florida is a park called Plaza Ferdinand, so named for Spanish King Ferdinand VII who surrendered the territory. That park is the epicenter of historic assets in downtown Pensacola. It’s a great location to picnic with your kids and use the plaza as a jumping off point to visit the many nearby museums. The T.T. Wentworth Florida State Museum sits on the plaza, with the Historic Pensacola Village, the Museums of Commerce and Industry, the Pensacola Children’s Museum and many other historic sites within just a few blocks. If Pensacola had a sixth flag in its array, it would be the flag of the United States Navy. The sea has been an integral asset for Pensacola since Spanish conquistador Tristán de Luna landed here in 1559. The National Naval Aviation Museum, located at Pensacola Naval Air Station, has exhibits that detail our seafaring heritage from de Luna to the space age. There, the Cubi Bar Café doubles as both a restaurant and exhibit. It is a replica of the Cubi Point Officers’ Club in the Philippines. 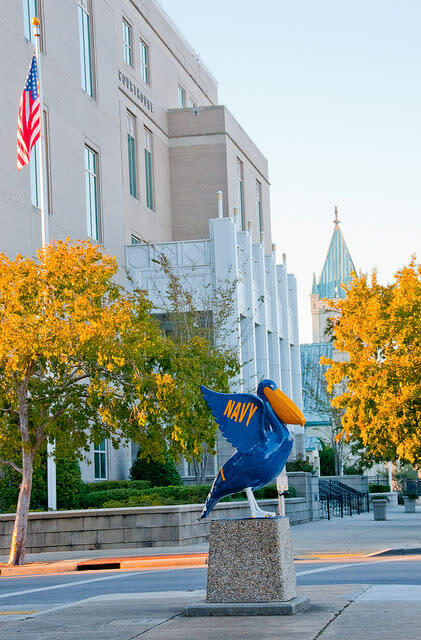 While you’re visiting the National Naval Aviation Museum on the base, you can also explore Fort Barrancas and the Pensacola Lighthouse and Museum, both of which delve into the rich naval military history of the Pensacola area. The Belmont-DeVilliers District – several blocks around the intersection of those two streets in downtown Pensacola – was a hub of community and business for Pensacola’s African American Community in the early 20th century. It recent years, it has been the focus of revitalization efforts that have brought restaurants like Five Sister’s Blues Café and Blue Dot Burgers, as well as the Chizuko nightclub. 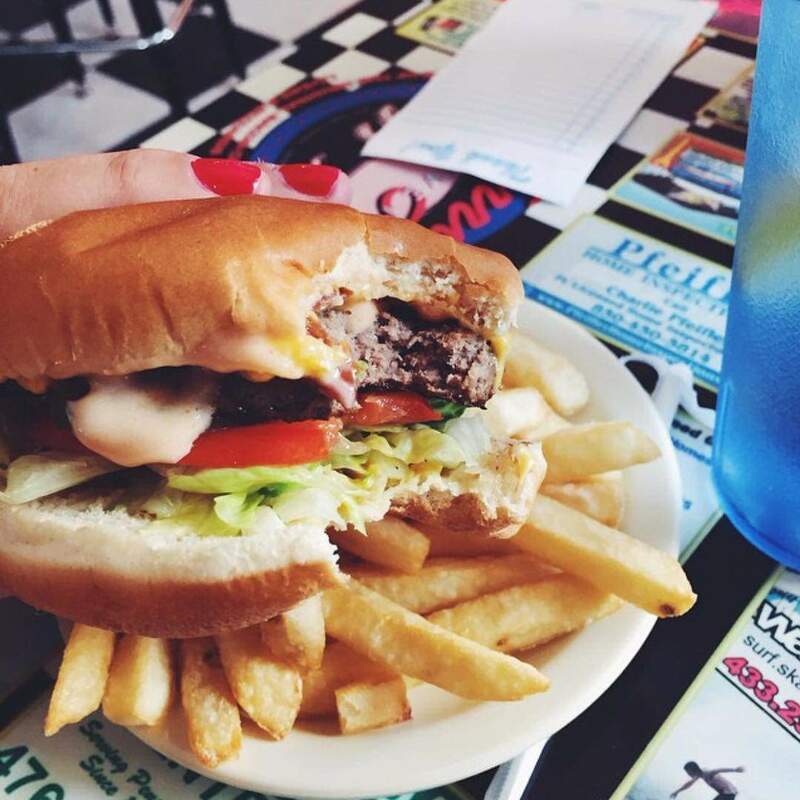 Places like the Coffee Cup, Captain Joey Patti’s Seafood Restaurant and Deli, Jerry’s Drive In, Oscar’s and Founaris Brother’s Greek Restaurant – these are old-school, no-frills, bare bones joints, some of which don’t even have proper websites. But these are places where the food is so good when friends hear you are coming to Pensacola, they tell you not to miss them.